January 24, 2014 by iCepts Technology Group, Inc. If you are outgrowing your current business management system, you now probably have many more options for choosing a better ERP system, plus options for deployment, than your previous installation. Flexibility in setting up a new ERP system is making new business systems more attractive to owners who want to select which hosting option is best for their company in addition to obtaining much more up-to-date product functionality to streamline operations. On-Premise: With the traditional on-premise deployment, ERP Software is installed and run on dedicated servers in-house. The company owns and services the hardware infrastructure and software licenses. Off-Premise: This option can include either a cloud-based or partner hosted deployment of the ERP Solution. "Cloud" is a frequently used IT word today, however, there can be important difference in what each vendor offers as cloud service. 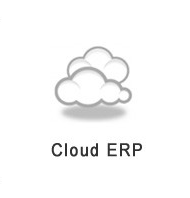 Public Cloud: With a public cloud, the ERP solution takes a web-hosting model in which the date and the application resides in a remote server and can be accessed via an Internet browser on non-browser application for your mobile or tablet device. The customer typically rents the ERP system and infrastructure is charged on a pay-per-use or pay-per-user basis. Private Cloud: A private cloud adopts the virtualized, self-service model of the public cloud; however, it typically does so within the company's firewall and is collocated at the company or vendor-based data center. The company either owns the ERP system and Infrastructure, or vendor may provide an option for leasing this as a service. 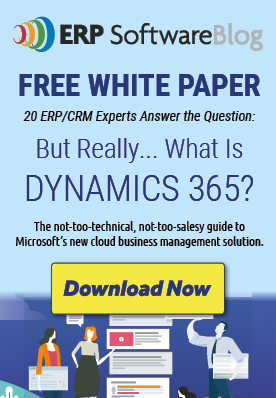 Contact us here with any questions about Microsoft Dynamics NAV "In the Cloud"